We’ve all seen them—those women up at the crack of dawn in their sleek athletic gear effortlessly pounding the pavement at a steady pace while the rest of us struggle just to get out of bed. They seem as if they were born to run, as if they’ve been doing so all of their young, wrinkle-free lives. Indeed we assume that many of them were naturally inclined to run and couldn’t possibly be a day over 25. Our assumptions are completely wrong. Keep reading. You’ll find that many of those running enthusiasts, marathoners, sprinters and fitness junkies were late to the game and in not-so-different shape than the rest of us, and with any hope, you’ll catch the same running bug they did. After spending most of her life as the “fat girl,” Obasi Olaedo (Ola Fabians) had it. 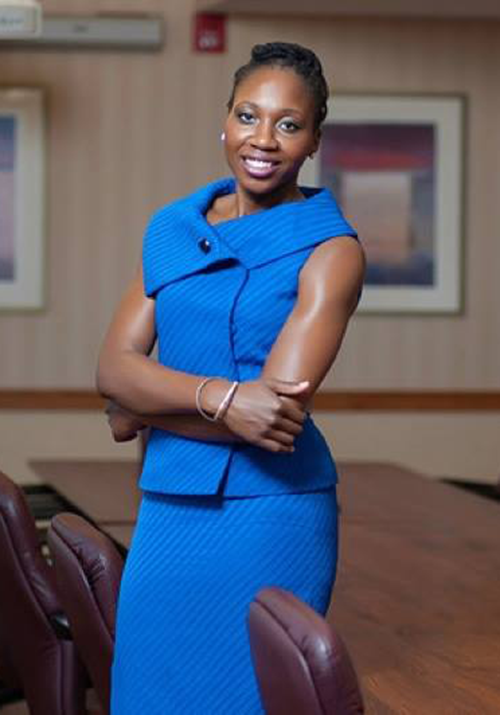 Sick of self-pity, depression, chest pain and failure with diet pills, the Abuja legal practitioner committed herself to eating right and exercising regularly. She began in late 2013 with a series of Insanity workouts, HIIT, cardio, circuit training and strength training but steered clear of running because of those pesky chest pains. 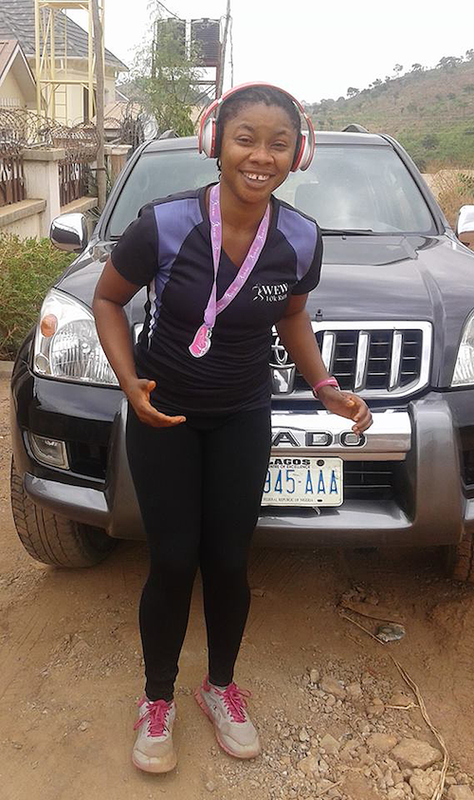 However, before her next birthday in August, Obasi was determined to run the Truppr 5k Run as a gift to herself—and she did just that. 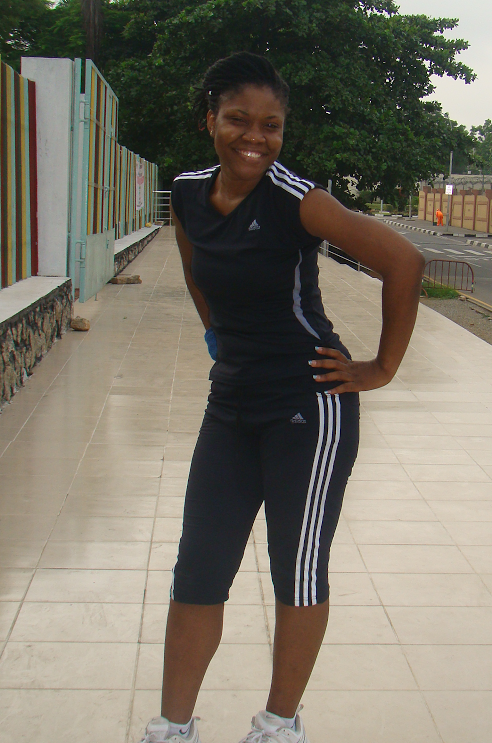 These days Obasi runs 10km (6.2 miles) every day at 4:30am despite her mood or the weather. This past May, she ran a total of 241 km (149.7 miles) including three unofficial half marathons. Obasi has also registered for five official marathons around the globe and is organizing a Nigerian running competition, “Run with Ola,” specifically for Nigerians who may be unable to participate in international events. Besides touting the personal therapeutic benefits of running, Obasi can’t stress enough the weight loss advantages and pure fun that comes with it. She recommends that anyone interested in running take a fitness test, obtain good running shoes and wear knees braces to avoid sprain. United Kingdom pharmacist Diane Oredope didn’t begin her running journey as an avid athlete at all. 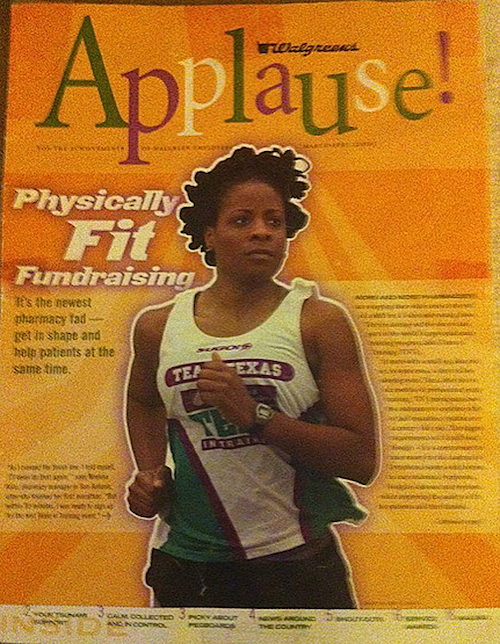 In fact, she just recently began running this year as a part of an overall focused effort to lead a healthier life. Using the UK’s Couch to 5K program, Diane increased her stamina from 30 seconds to 20 minutes of running in a mere five weeks. Today, just three months after her first trek, she runs 5 km (3.1 miles) about three times a week, has run the equivalent of a half marathon and is preparing for her first official half marathon this month. Though Diane juggles duties as a wife, mother and professional, she remains motivated to run because of her Facebook running groups, weekly 5k parkruns, voluntary duties as a run director and her fellow runners’ achievements. A noticeably improved difference in her weight, blood pressure and overall fitness hasn’t hurt either. To any other “new girls” to running, Diane advises to practice healthy eating habits and to simply take the first step to a new life of running even if it means walking instead of actually sprinting. 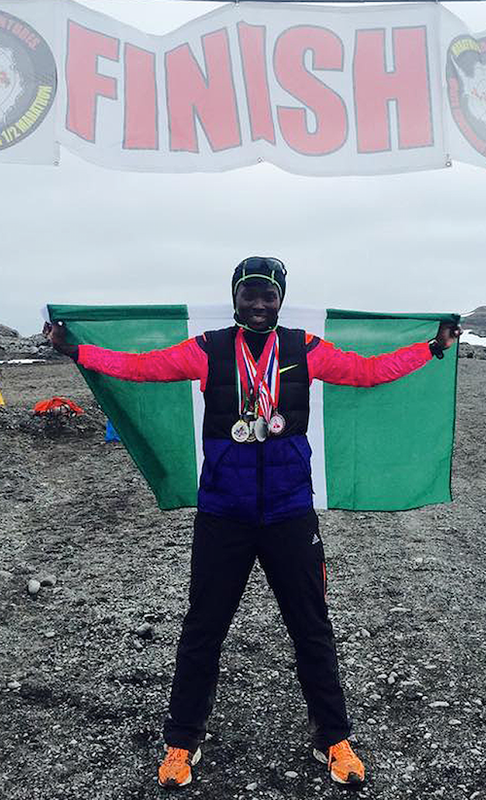 Nigerian New Yorker and pharmacist Abisoye Adekanmbi made history in 2014 when she became the first Nigerian (along with Tee Morgan) to vanquish the 42.2km (26.2 mile) White Continent Antarctica Marathon and raise thousands to benefit cancer research. Like Tee Morgan, Abisoye has also completed a marathon on each of the world’s seven continents. Her love of running began with high school track and field participation in 100 meter and relay races. However, by the time she ran her first marathon in New York City in 2010, she didn’t actually possess any long distance experience and hadn’t really ran since graduating from high school. It was a simple postcard from the Leukemia and Lymphoma Society and an encounter with several runners battling cancer that inspired her to participate in this initial marathon and go on to raise ₦649,000 ($4000) for the cause. Afterward, she ran six world major marathons in New York City, London, Berlin, Boston, Chicago and Tokyo and hasn’t stopped since. Also a member of National Black Marathoners Association, Abisoye is excited about the mental and physical strength marathon-running has given her. She advocates that first-time marathoners use the support of a running group or other running friends to stay motivated. Port Harcourt’s Briggs Ngoba is yet another example of a Niaja woman who decided to take her health destiny into her own hands. Between 2013 and 2014, the Women Encouraging Women to Live Healthy group member experienced a dramatic drop in weight simply by adopting a lifestyle of running and healthy eating. When not encouraging others to actively participate in River State civics, Briggs is steady working on her endurance and stamina as an aspiring marathoner. Of late, she has participated in the Fit N Fab Valentine’s Virtual 10k, Easter 10k Run and the Hotter than Hot Distance Challenge 21k. She’s already completed her 1000 mile challenge for the year and officially considers herself a true runner. She’s also recently ran the equivalent of a first full marathon (42.1 km/ 26.1 miles) in a time of five hours and 36 minutes and is looking to complete her first official marathon any day now. As far as weight loss is concerned, Briggs touts portion control as the key to shedding excess pounds. Recently married FADD Fitness Addict creator and blogger Tayo Legan-Agbaje spent seven months in 2012 slimming from a size 18 to a size 10 after having spent 28 years as an overweight woman. Since that time, the Lagos motivational speaker and fitness guru has continued to mentor and empower other women to reach for and achieve their fitness and health goals through wholesome diet and routine exercise. A part of Tayo’s FADD business is creating customized food and workout plans for her clientele. While she participates in her own and other fitness events and challenges throughout Nigeria, she runs an average of 5 km (3.1 miles) daily. Her regular regimen includes a Saturday two-hour workout which she calls “paying her workout rent.” During this workout, she runs, jogs, walks, meditates and climbs a wicked outdoor staircase. She also coaches a monthly Saturday fitness bootcamp. Tayo encourages anyone looking to launch a fitness lifestyle to start with a change in eating habits, discover a personal routine and stick to it, start small and then grow into the challenge and never underestimate the value of a good support system of friends. 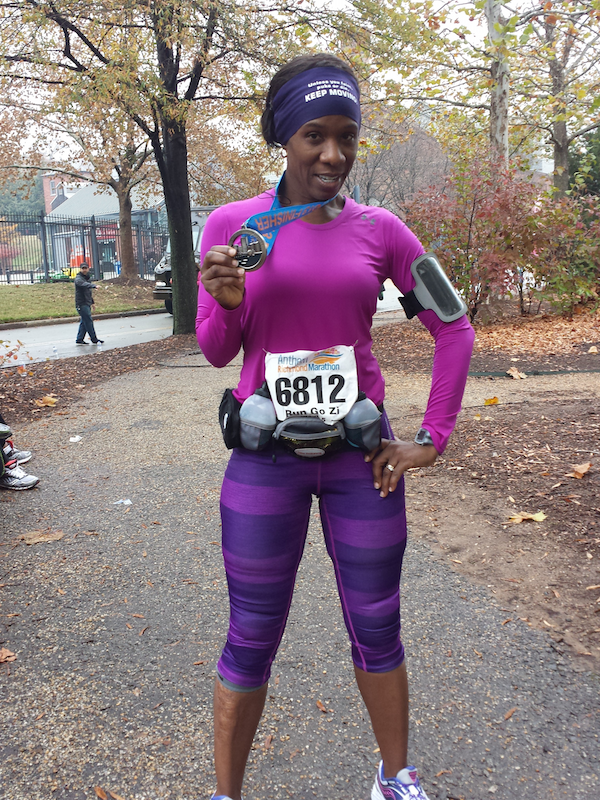 Having fallen out of love with her same old gym habits, Ngozi Ibe of Richmond, Virginia, sought out running to help achieve her weight loss goals. Though the geologist had never been a runner before, she counted on the sport to help her shed the last 20 pounds she couldn’t seem to shake with her normal exercise routine. The five-times-a-week activity also provides Ngozi with an escape from her daily grind, a satisfying runner’s high, improved cardiovascular health and high health marks from her personal physician. Though it’s only been four years since she began her running journey, Ngozi has completed four full marathons and is scheduled to run two more marathons before the end of this year. 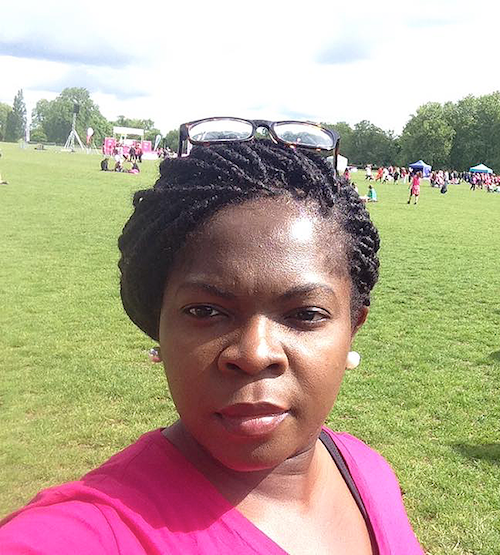 Ngozi doesn’t always fundraise on the way to the finish line but she does run in memory of her mother whom she lost to breast cancer at a young age. A member of Nigerian Runners Facebook group, National Black Marathoners Association and Woman Encouraging Woman to Live Healthy, Ngozi recommends anyone new to the sport to simply start small, don’t overthink it and just do it. 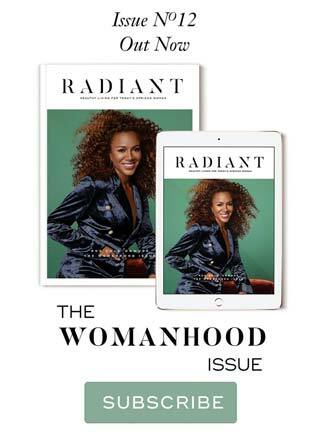 Since her university days, Radiant Health Magazine’s own founder and Editor-in-chief Nnenna Kalu Makanjuola has begun each day with a run for no other concrete reason than the pure adrenaline-fueled, meditation-in-motion thrill of it. Nnenna describes it as a feeling of “air getting through my brain.” The wife, mother and publishing entrepreneur is so hooked on the joys of running that she was in an absolute slump after a recent running injury prevented her from enjoying the sport in her usual way. 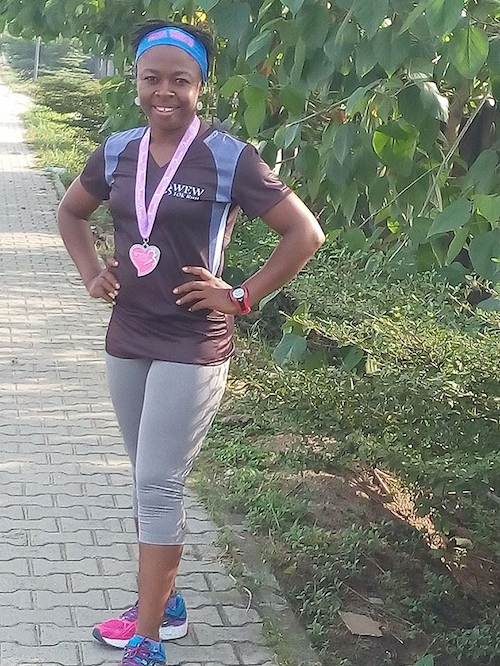 Even still, as her ankle heals, Nnenna insists on remaining in motion (be it walking, running or jogging) her usual three to five times a week with an ultimate goal of completing the Nigerian Runner’s 1000 Miles in 2015 Challenge. Also, she’s anxious to get back to the rush of the many 5k runs, 10k runs, half and full marathons in which she’s participated in the past—particularly with the hope of raising awareness and funds for such causes as BRECAN and VITSAF and other Nigerian-based organizations. Ask Nnenna what it takes to get hooked on running and she’ll tell you that all it requires is a good pair of shoes, light clothing and the will to go at your own pace and do what feels right to you. 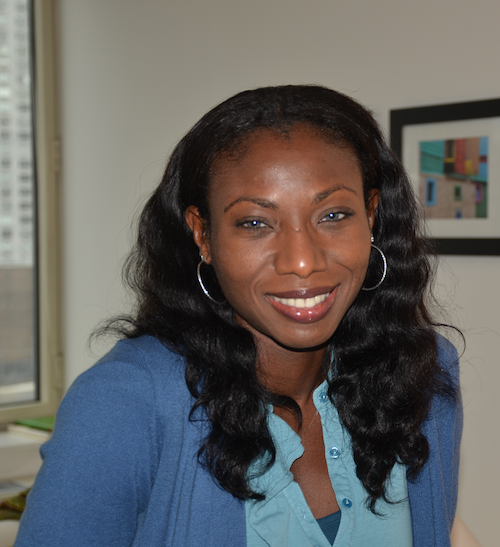 Nikki Igbo is a blogger, writer, editor and political scientist. 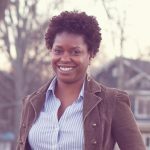 She received her BA in Political Science from California State University at Fullerton and her MFA in Writing at Savannah College of Art and Design. She lives in Atlanta, Georgia.